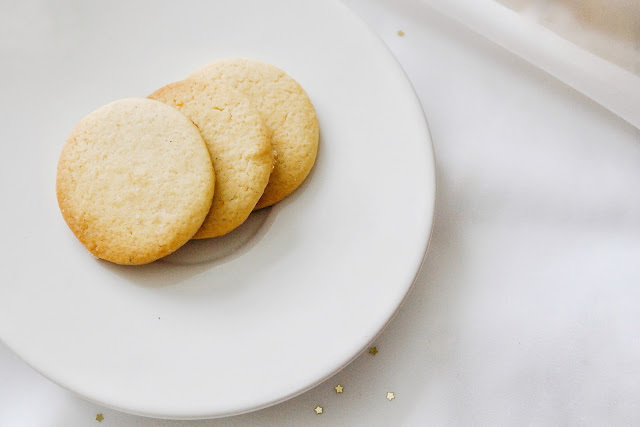 With Christmas comes any excuse to become indulgent and what better way to get into a Christmas spirit than with a batch of these delicious orange vanilla cookies. As you will probably know both my daughter and I have been singing Christmas songs and watching festive films since October. However something we haven't got around to doing is some festive baking, now if you're looking for some super simple gingerbread men or shortbread then these orange vanilla spice cookies will be something else to add to a festive baking list. 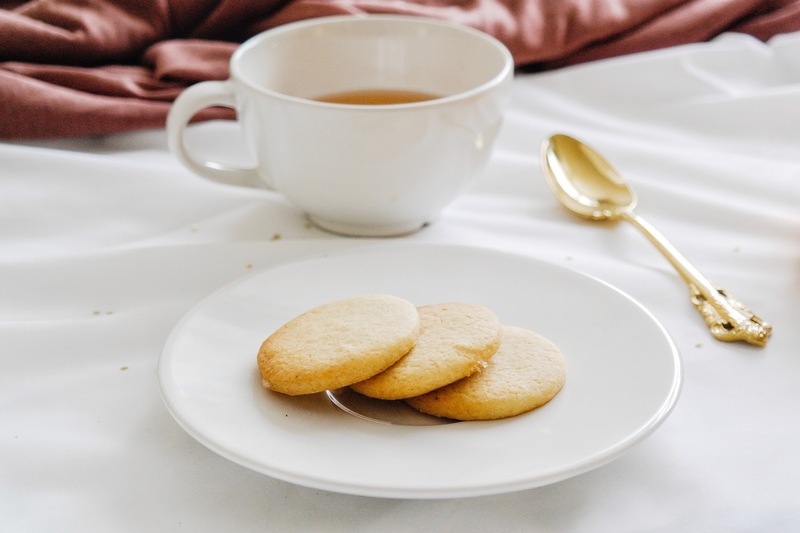 These orange vanilla spice cookies are so easy to makes and go perfectly with a cup of tea. Personally I think that these would make a lovely gift to give to a friend, an aunt or uncle or even gift to teacher at the end of the term. There is just something special about something handmade, and here are some fantastic last minute DIY gift ideas for some inspiration. 1. Sift the flour, baking powder, cardamom, and salt into a medium bowl. Whisk to combine. light and fluffy, about 5 minutes. Scrape down the bowl and beater with a rubber spatula as needed. Add the agave nectar and beat on low speed until well blended, about 1 minute more. 3. Add the orange zest and vanilla and continue to beat on low speed until well blended. 4. Add one of the eggs and beat on low speed until well blended. Stop the mixer, scrape the bowl, add the second egg, and beat until well blended. 5. Add the dry ingredients and beat on low speed, stopping once to scrape the bowl, until they’re incorporated and the dough pulls away from the sides of the bowl, about 15 seconds. Do not over mix. The dough should be soft and somewhat sticky, but not so sticky that it’s difficult to handle. If the dough feels too soft, add flour until it stiffens up (2 Tbs. at a time) If the dough is very dry and crumbly, add 2 to 3 Tbs. milk to soften it. 6. Split the dough into two pieces and refrigerate for one hour. 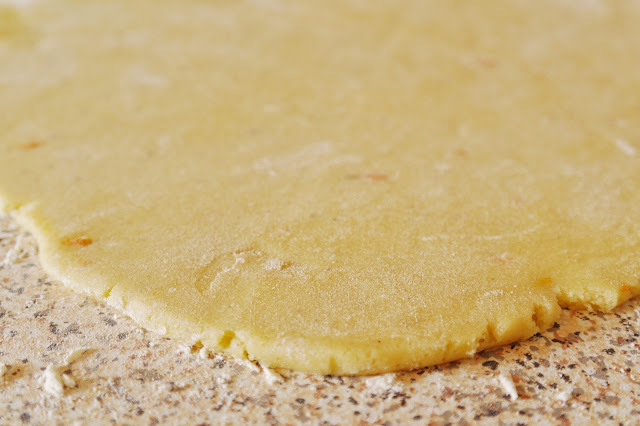 Roll the dough to 3/16” (0.5cm) and chill the sheets for 30 minutes. 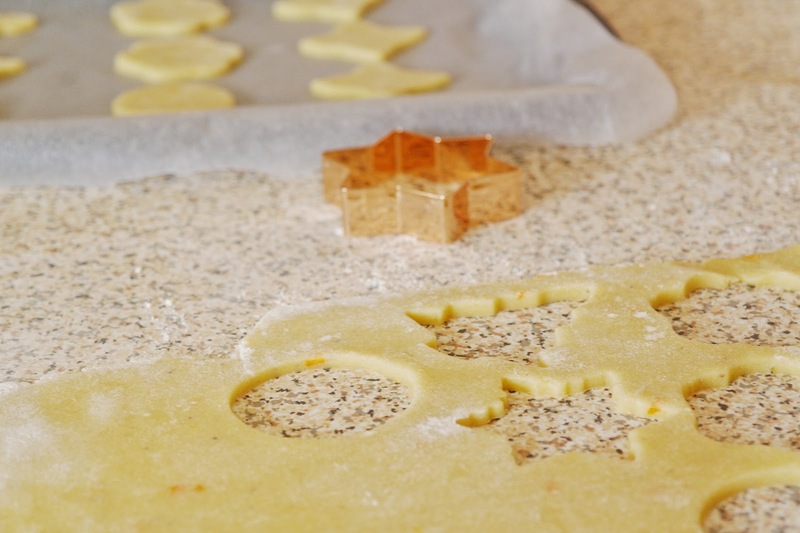 Cut out desired shapes and bake at 350°F (175°C) for 10 - 12 minutes or until edges are light golden brown. If you wanted a plain cookie don't add in the orange zest and cardamon. Don't be afraid to experiment with flavours, you could try adding a caramel extract and ginger for a very Christmas taste. I would love to know if you do try this recipe and don't forget to share your creations.